My friends over at Waffle Flower Crafts (WF) have teamed up with Colorbox to introduce to you one of their new releases for April 2015, new ink pads! 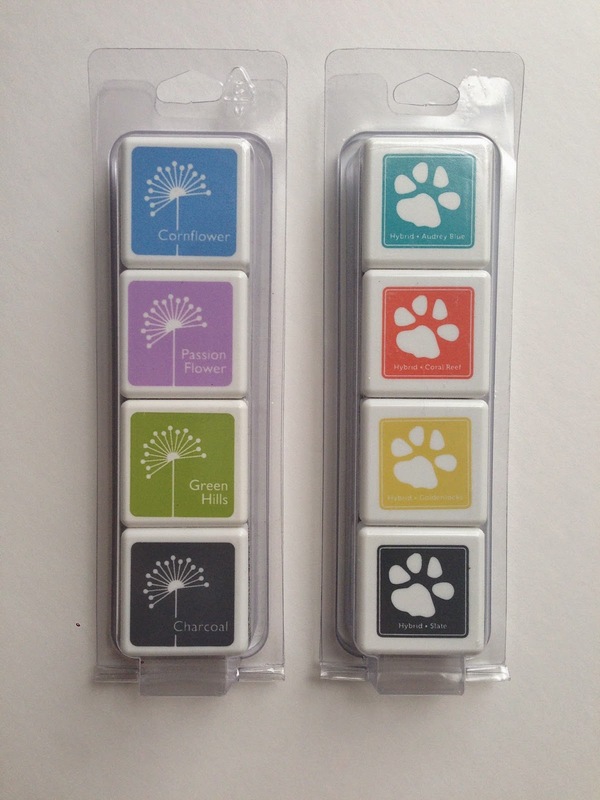 They just released two of them - the Spring Blend Inkpad and Summer Blend Inkpad. Simon Says Stamp (SSS) has also released some new products for planner lovers called "Plan On It!" which includes stamps, dies and inks. First, I want to introduce you to the Petal Point InkPad from Waffle Flower Crafts. 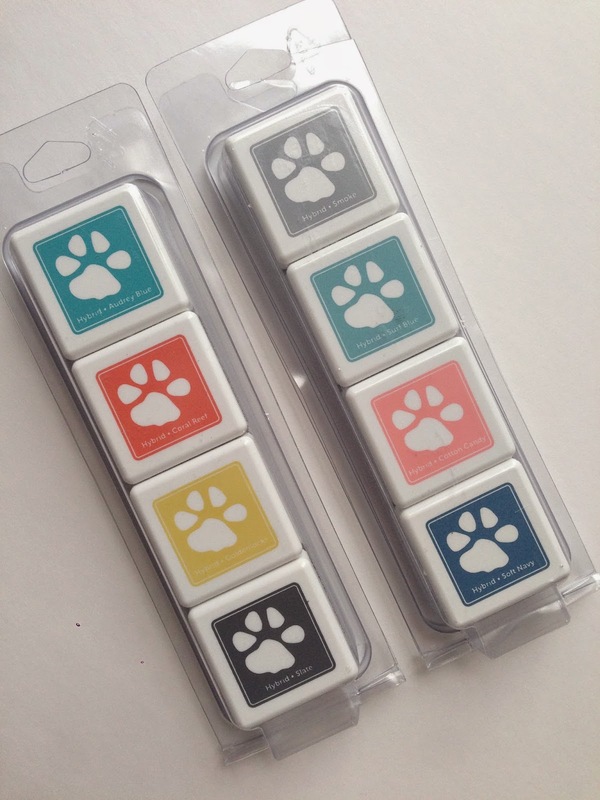 I am grateful to have had the opportunity to test out the *Summer Blend Inkpad. 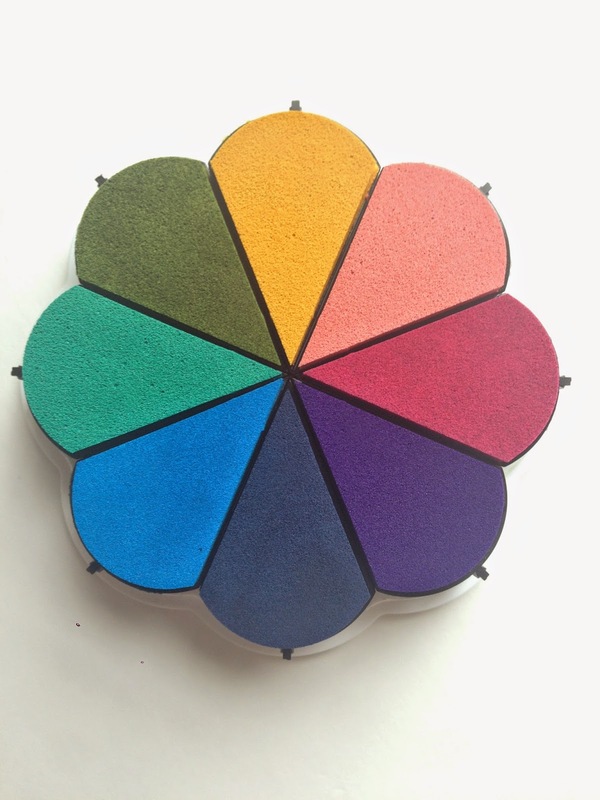 It comes with 8 beautiful colors. 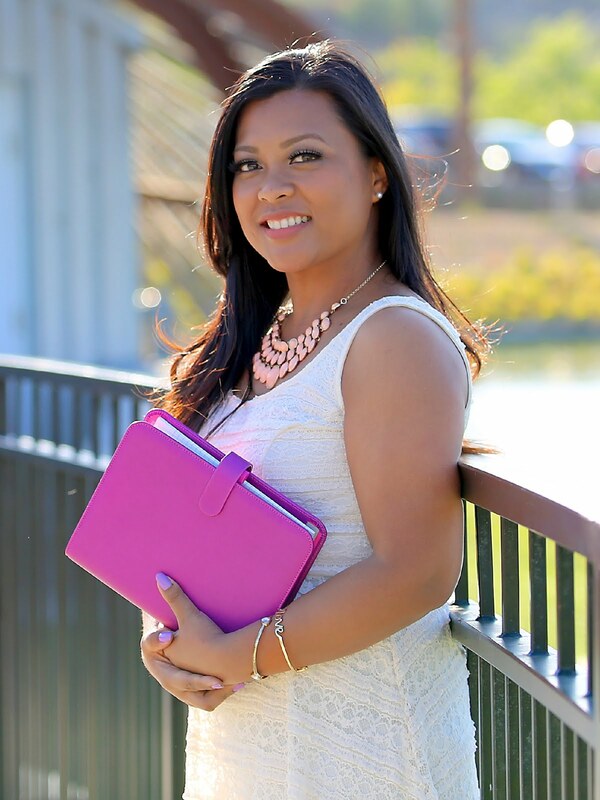 Nina from Waffle Flower Crafts explains that the color Coral is a very, happy summery pink that works well with all the colors from the Spring Blend Inkpad. It's a transition color from Spring to Summer. I have been looking for a nice coral colored inkpad and I think they really nailed it with this color! I just love it! 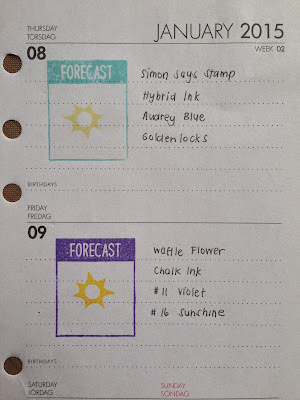 I really wanted to see how these inks performed with my planners. 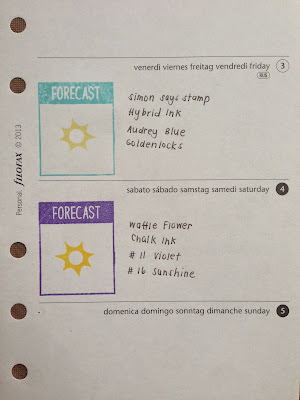 I used the photopolymer clear stamps from the Planner Add-on: Weather 1 set by Waffle Flower Crafts. 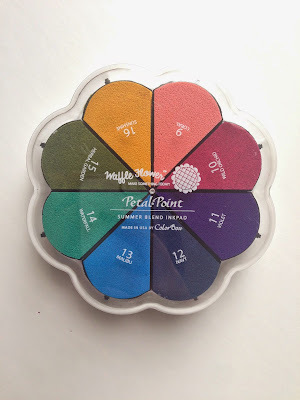 I only used the #11 Violet and #16 Sunshine colors from the Summer Blend Inkpad. I also used Audrey Blue and Goldenlocks from the Karma ink cube set. 1. 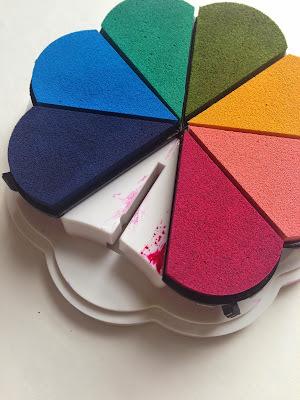 The Erin Condren Life Planner has nice thick paper. 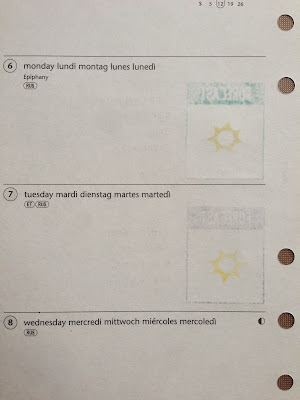 With the WF inkpads, the stamped images were clear and crisp.There appears to be some light shadowing on the reverse side of the page. The SSS inks came out splotchy and not as crisp with some small bleed through on the reverse side. ​2. The Hobonichi has very thin paper. There was some slight bleed through with the WF inkpads but not entirely soaking through paper, just some spotting. Again, I produced a nice crisp image. The SSS inkpads did not do so well. The image was not clear and just soaked right through the paper, it even soaked through the page underneath it. 3. Filofax paper is also known to be thin. 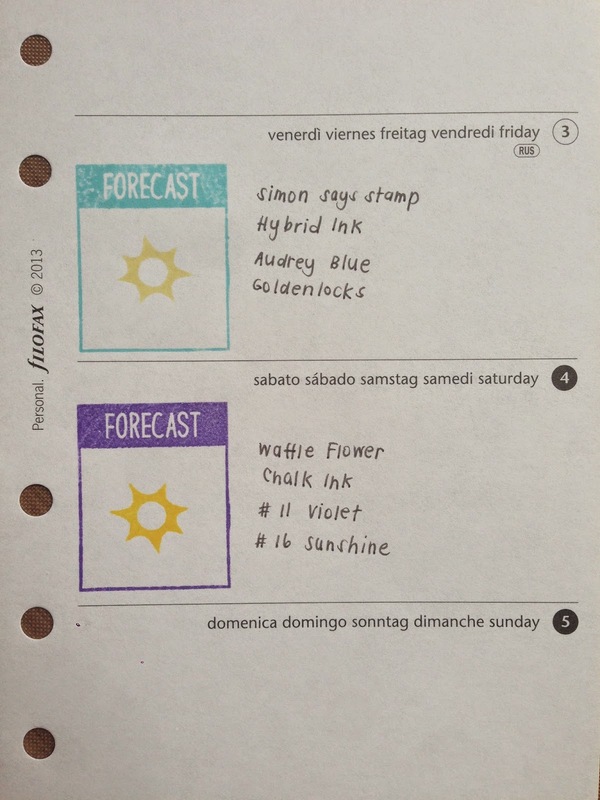 With the WF inkpads, there was some slight bleed through and dark shadowing. ​Definitely visible on the flip side. The SSS inks appeared splotchy and unclear; bleeding right though the paper. 4. kikki.K is has similar paper to Filofax therefore, the results were the same. 5. Webster's Pages has the thickest paper out of all the inserts I have tested. I was able to produce clean, crisp images. 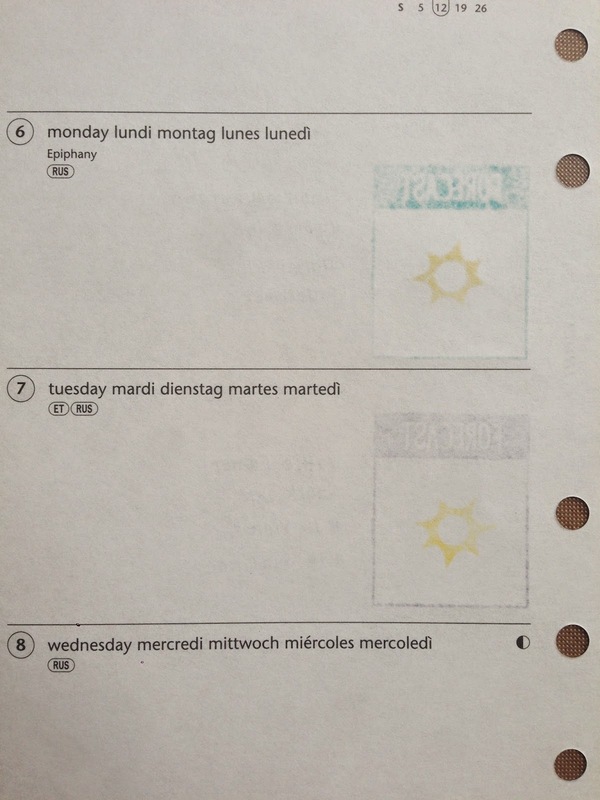 There was very minimal shadowing, and very slight bleed through when I stamped the sun image. These inks were tolerated well on these inserts. I really do love how nice and vibrant the colors are. I don't think they are muted at all. They are nice and opaque. 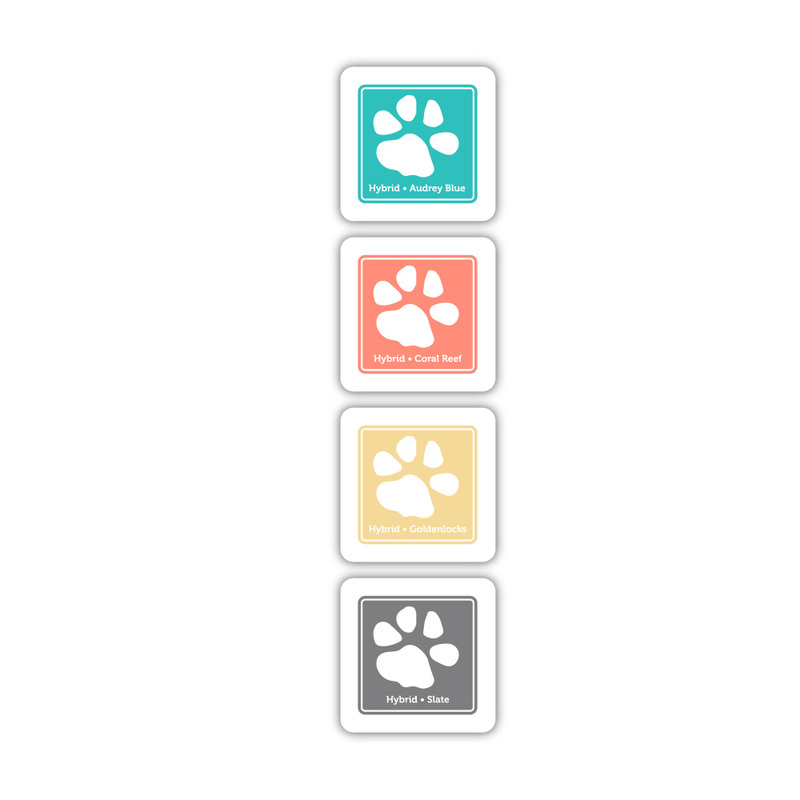 When stamped, the images came out crisp, smooth and well blended. 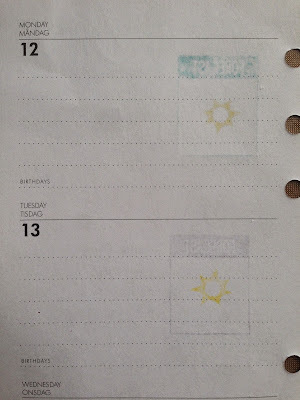 For me, I don't mind the shadowing at all with the planner inserts. 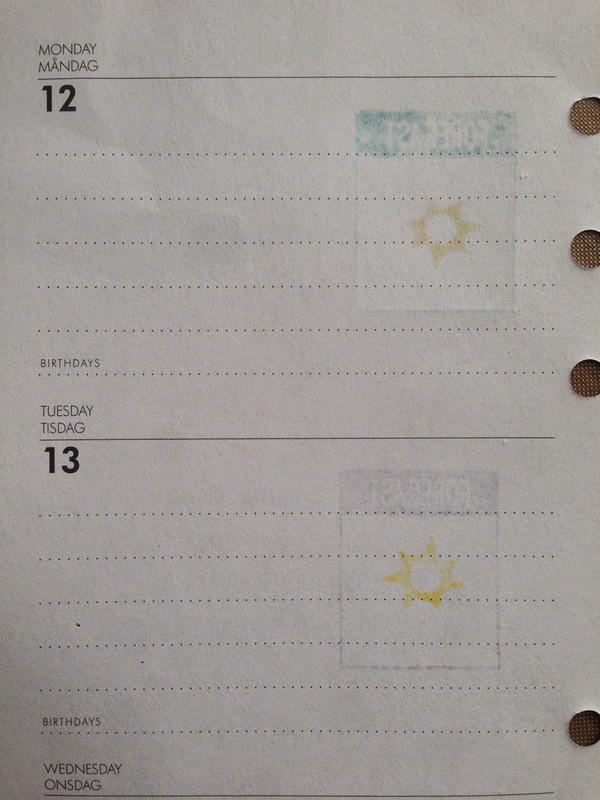 I will definitely keep using them in my planner since I do use the Webster's Pages thicker paper. 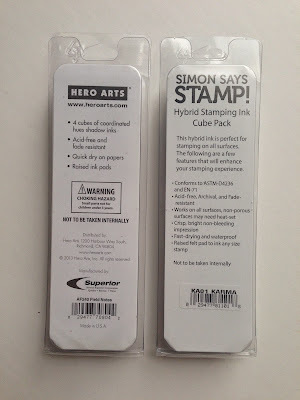 Nina has also mentioned to me that, "These inks stamp and dry like dye inks so they were meant to work on card stocks. 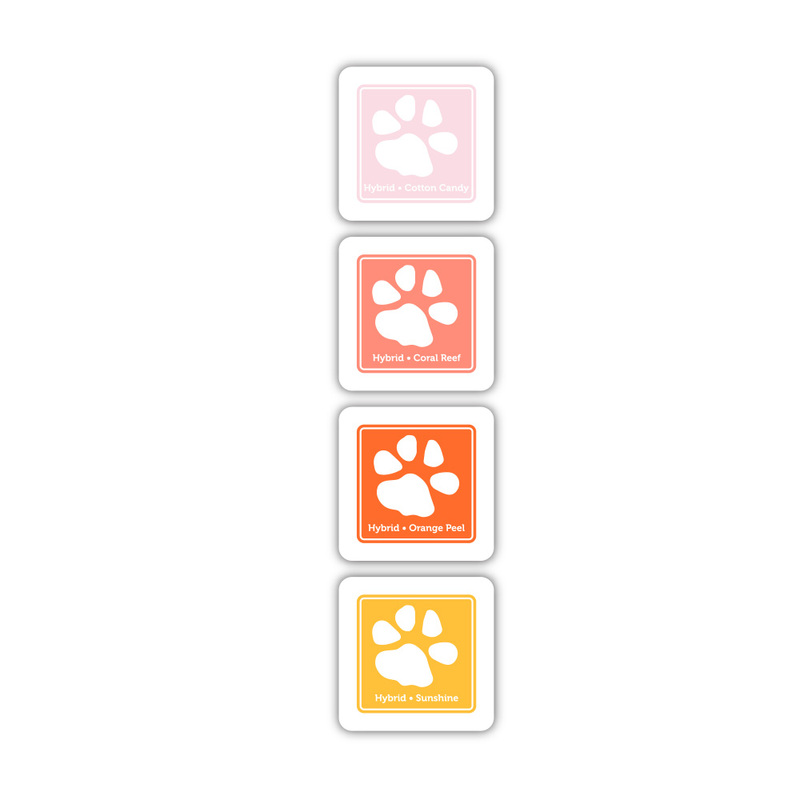 We’re working on inks for planners." 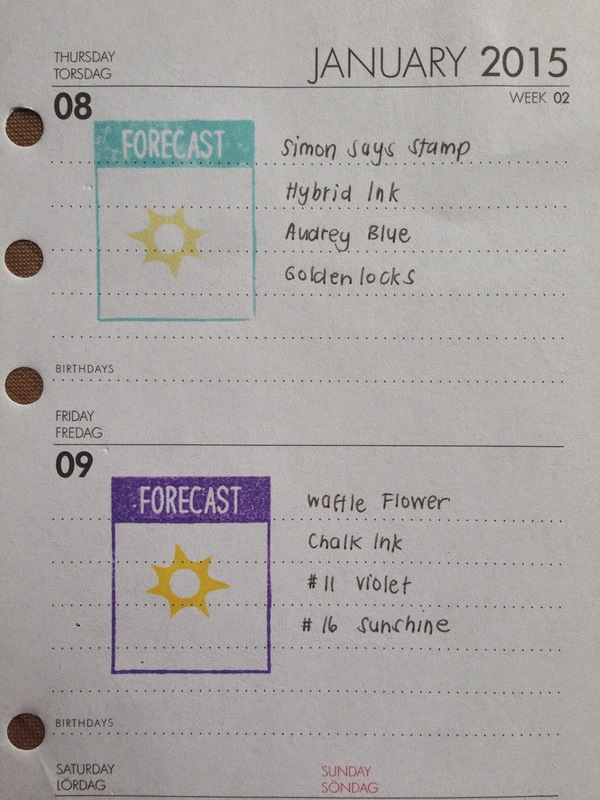 So, keep an eye out for more planner friendly inks. The ink cube sets are also fairly priced compared to similar products. 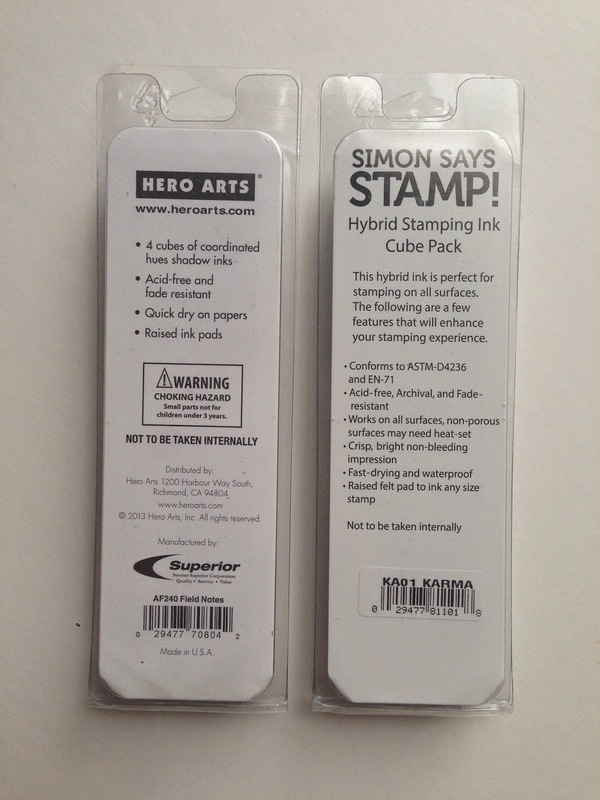 I am not sure if it is the same factory that produces Hero Arts ink pads, but I did notice similarities with the Hero Arts Shadow Ink Cubes which I have photographed below. The ink behaves similar as well. 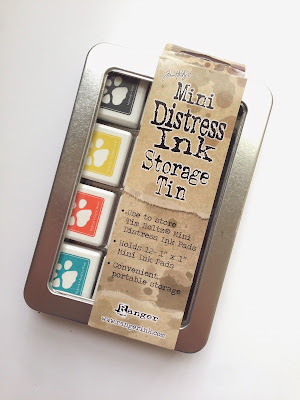 I do not think these inks are well suited for planners but can definitely be used for other paper crafts. The thing I do love is the cube design. They fit perfectly in the Mini Distress Ink Storage Tin Box by Ranger. 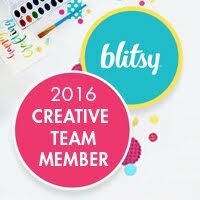 *This post is brought to you in collaboration with Waffle Flower Crafts and contains affiliated links. All content, ideas, and words are 100% my own, unless otherwise stated. Thank you for supporting the sponsors that allow me to showcase these wonderful products.